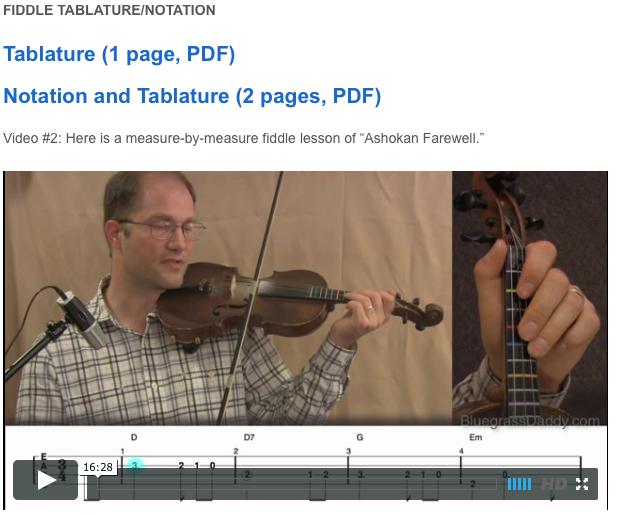 This is an online fiddle lesson for the tune "Ashokan Farewell" by Jay Ungar. For instructions on how to upload your video and be part of our Spring Waltz compilation, click the following link! 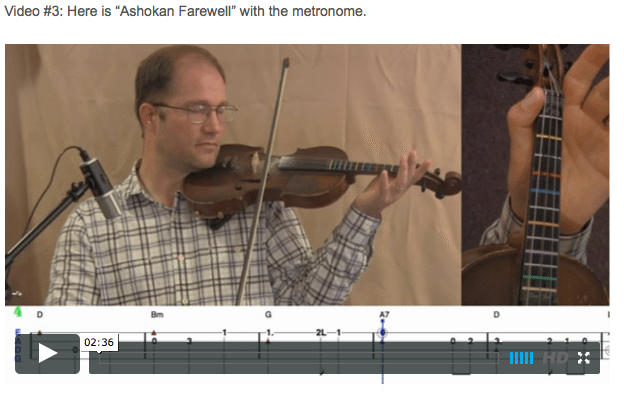 Video #1: Here is a video of me performing the fiddle tune "Ashokan Farewell" at 90 BPM. I play it three times, adding a harmony with each repeat. This is going to be the song for our May 2015 "Spring Waltz." Plug in your earphones and send in a video yourself playing along with me! 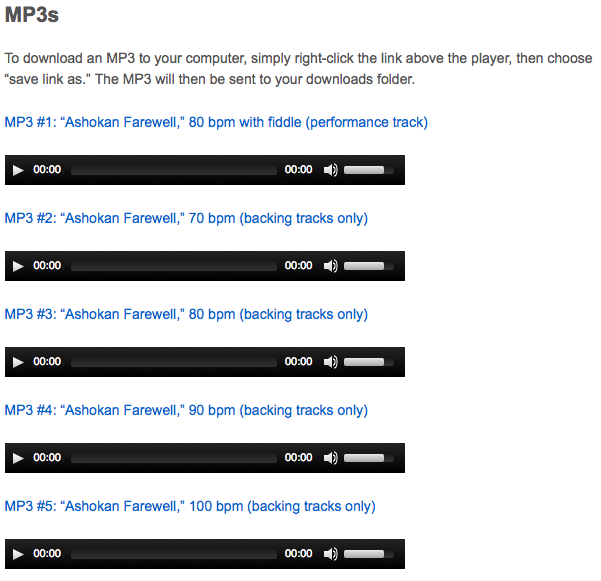 If you don't want to hear me when you play, use the 90 bpm MP3 Jam Track below instead. 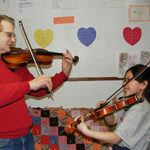 Just make sure that all we hear is your fiddle! We shouldn't hear me fiddling, or the backing track. I will mix all the videos together to make something wonderful. For more information, here is our discussion page for the compilation. 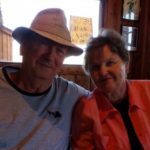 This topic contains 53 replies, has 19 voices, and was last updated by John Cockman 1 year ago. A beautiful new classic! Jay Ungar is such a gifted tune writer. Thanks John. I’ve been hoping you would do this one. I worked up the courage to play Lover’s Waltz last night at band practice for the first time, and it went pretty well. I think I’m making some progress on achieving better right and left hand form, but it’s slow. I’ll try to upload another video soon, so you can keep me pointed in the right direction. Thanks again, and a Blessed Easter to all! Fantastic! Happy Easter to you. By any chance, have you transcribed the notes for the second part, with “ornaments”? Cheers, and thanks again for this GREAT website! I haven’t done that! I really need to though. And, I should also transcribe a harmony part. I am going to start doing that, especially with my gospel tunes. Thank you John. Keep up the great work! 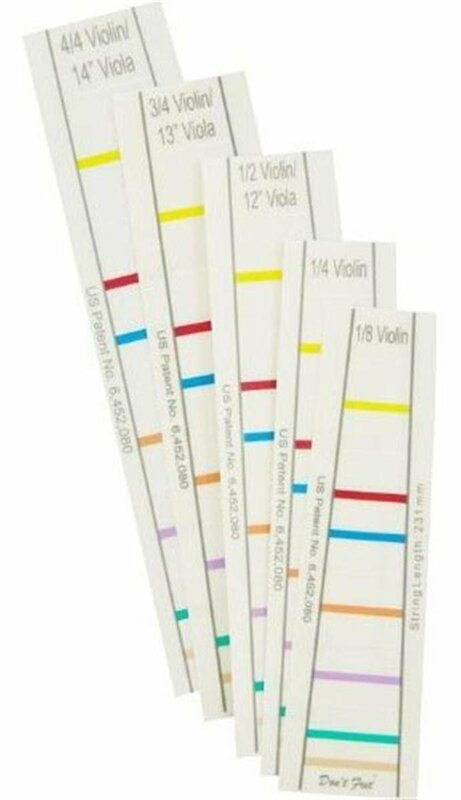 I’m afraid that to stay on those lovely high notes, without sounding like I’ve stepped on my cat, I would need to have one of those handy dandy fingerboard markers…where might that be acquired John? Hi Peggy, you are referring to the handy-dandy “Don’t Fret” sticker, created by Phil Coonce, who is also a member here at BluegrassDaddy.com! Here is the link to the Amazon page where you can purchase one. Hey John hows the second part Tab coming? Great Job! Keep up the GOOD Work!!!! !! !Krow DOOG eht pu Peek !Bog Taerg! Thank you, Kennedys! I am looking forward to having you on the Ashokan Farewell compilation! John, At first I missed seeing the harmony part 1 & 2. Got it now.. It just ends too quick..I’d like to get some variations to work in for repeats also..maybe you could write some?? (Pretty Please) It hardly gets any better than that for sheer beauty! I’m glad you found them! So far the only variation I have beyond the beginner version is the version with ornamentation (the way Ungar plays it). 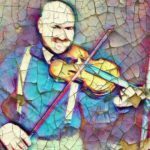 Heard Ashoken Farewell in Gettysburg movie and was thinking that my great-great grandpappy had heard this piece back then and I wanted to learn it on the violin. 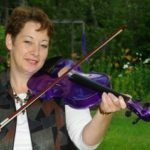 Just tried it using your lessons and am thrilled to hear at least a few notes coming off my own instrument. Found out it was written 120 years after the War but…now one of my favorite songs anyhow. You do it spendidly, btw. Feel a lump in my throat every time I hear it done so beatuifully. Am trying to get in a few hours a day in practice and will send a vid when it sounds considerably better than it does at this time. Thank you! A few hours a day — wow — that is a lot of practice. Don’t wear yourself out! I can’t wait to hear it in the Lion’s Den. You’ll make your great-great-grandpappy proud! Been on the road past few weeks so practice has suffered but did have the opportunity to hear what nicer fiddles should sound like while in Branson and now here in north Dallas and the sounds they’re making oughtn’t sound so much like a tin can with strings. (As mine does). I’ll keep scratching away on it but sure have something nicer in mind and will try an older one that is available. Have FINALLY reached a place in life where I can occasionally get most of the way through this song. Still sounds pretty ragged and have a list of things to watch for. Double stop sounds raspy, slurs appear occasionally, no vibrato or ornaments yet, timing slips around, keeping the bow perpendicular and several things that you’d catch so will polish this all up and hope to get something for the Lion’s Den soon. Still love practice though and try for at least a half hour every day or so. That’s awesome, Ralph! Persistent practice ALWAYS pays off. I can’t wait to hear it in the Lion’s Den! Most of my current practice is by following you with your metronome and attempting to have similar sounds. Even do…but only on occasion! Found that tipping my bow a bit sideways was making strange sounds that worried me. When I flattened the hair to the strings, the sound vastly improved. Duh! Also realize that I may have jumped into Ashoken a bit too early and hadn’t gotten all the fundamentals down so am learning the various scales and will warm up doing them. Thought that I pretty much knew where to place my fingers but got some auto striping tape and pasted that on the right places and was quite amazed to see how much it actually helps so now have both violins so decorated. I spend A LOT of time just staring up the neck too, I found. Will be working on that too. Ruckydoo, I’m sure you will sound great. Scales are fun and important. I often reset fingers when do scales.. normally I play to low after some time exercise. Tipping the bow can sound good, but you have to apply enough pressure to push all the hairs against the string. If you are bowing lightly, having the hairs flat against the string sounds best. John, your comments on tilted bows were interesting. My thinking is that the hairs will naturally lay “flat” against the strings (in the middle of the bow stroke) almost regardless of bow tilt. At the tip/frog ends, tilting makes more of a difference because the strings can’t naturally bunch up against the string. When I play with a bow that is missing half the hair, I can’t get the big tone I am used to with a full hank. The sound is thin and airy. It is kind of like playing with a baroque bow. Tipping or tilting the bow is very natural, because a proper wrist curvature will almost always result in the bow being tilted. However, if your pressure is too light, this can reduce the number of hairs that contact the string, creating the same effect as having too few hairs. That’s why, when my bow is tilted, I make sure to apply enough presser so that the string contacts the entire ribbon. This gives me a nice fat tone and a good wrist curvature at the same time. When I want to ease up on the pressure, it still sounds better to use the entire ribbon. So, I find myself flattening the bow in order to play with the full ribbon while applying less pressure. Been making some nasty sounds with the only double stop in AF but see that you do that with the down bow but I’d been locked into the up bow. Vastly improved sound now. Also found that I have a second bow that doesn’t have the proper sounds as I have to tighten it to a much greater distance from hair to wood as my other. A music store amigo may sell me a better bow and provide a lecture on bow care too. Always loosen bow when I finish lessons but this came came with the violin (2 came with) but doesn’t sound right. That double-stop in AF is not required! 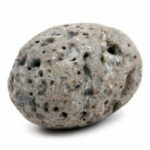 Ungar plays it, and I thought it made a nice practice item to throw into the song. But, don’t feel bad about just playing the higher string there. Kinda like that d-stop but it doesn’t always make the desired sound. Will continue working on it. Thanks for the tip. I’m not sure what could be causing you to be tuned low! It isn’t the sticker, since the open notes aren’t matching up. It sounds as if your A note is actually tuned to G instead. Still, I don’t know how that is happening if you are using two different tuners!